Armstrong's FM tests at the Empire State Building would last from May of 1934 until October of 1935. The tests made and the results obtained, on everything from microphones to antennas, would prove valuable to future FM development. Results of the Empire State tests were clear to Armstrong - FM was far superior to AM. Surely RCA would jump at the chance to buy the rights to the fundamental patents on which FM depended. But as the 1930's dragged on there would be no offer from Sarnoff, only more delays as additional tests and more studies were called for. In fact FM was getting a cold shoulder from Sarnoff and RCA aligned engineers. But why? RCA would talk about the millions of receivers, and the hundreds of transmitters, which would be made obsolete by such a revolutionary system. They said the public did not want, and would not pay for, a completely new system, and FM would waste bandwidth and have a very limited service area. The receivers, they said, would be too complex and expensive for the ordinary listener. But the real reason was clear. To paraphrase Sarnoff - 'Television would replace the radio the way radio replaced the phonograph'. And all of RCA's research and development would go into television. Armstrong became convinced he would have to prove FM himself. 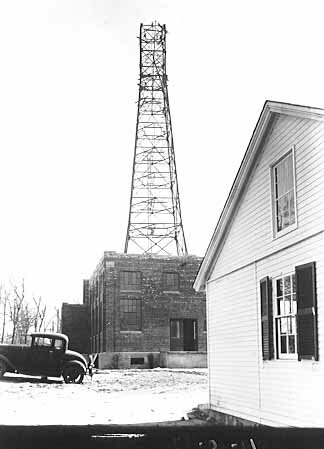 Early in 1936 Armstrong cashed in a large block of RCA stock, netting about $300,000.00, and undertook to build his own high power experimental FM station. When listeners tuned in, he was certain they would never return to AM. An eleven acre tract of land was purchased on the palisades in Alpine, New Jersey. From this site he could look across the Hudson River at his boyhood home in Yonkers, and from atop his future transmitting tower he would blanket Sarnoff's New York City with radio like no one had ever heard it. There would be one more obstacle to overcome, the FCC. Early in 1936 Armstrong applied for what should have been a routine experimental FM broadcasting license, it was denied - as "a visionary development". It would not be until the end of 1936, and only after threatening to take his invention out of the country, that the FCC issued a license and allocated just three megacycles to FM, 41 to 44 mc. 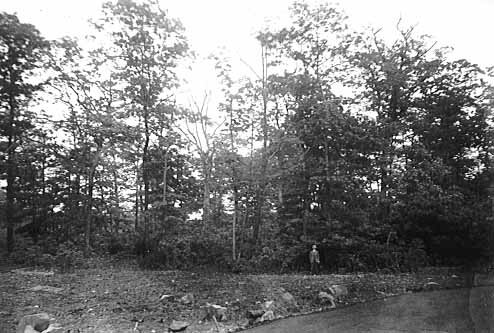 Armstrong assistant T. J. Styles standing on the future site of W2XMN, May 26, 1937. 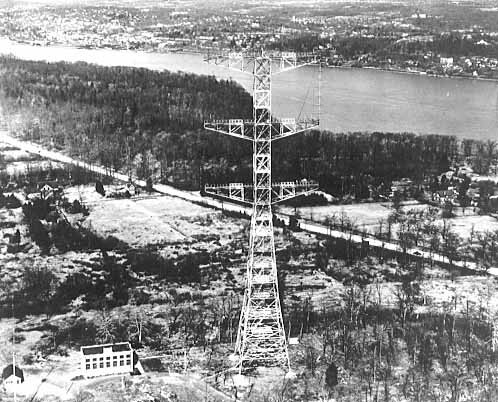 The main laboratory and transmitter building - the 425 foot tower, being erected by the American Bridge Company, is started, October 5, 1937. 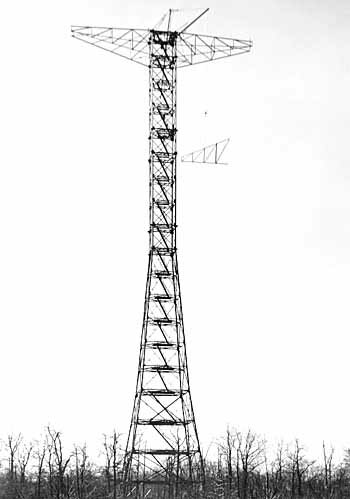 The tower on October 14, 1937. 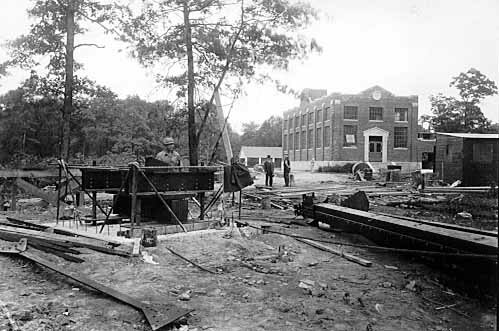 Nearing completion on November 10, 1937. 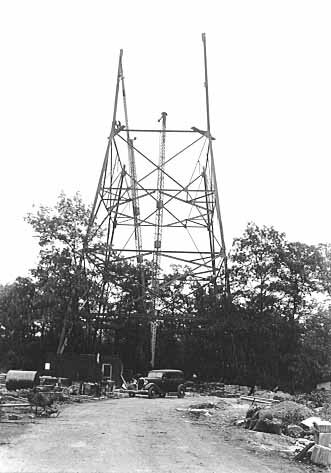 The tower base on November 10, 1937. Swinging the cross arms into place, December 9, 1937. 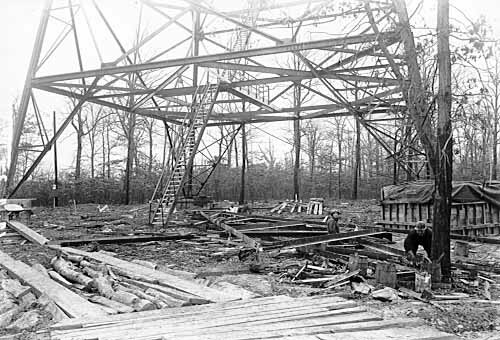 Experimental FM radio station W2XMN is completed in early 1938, and looks much as it does today.